So you are at The Big Shwop, you’ve exchanged your clothes for vouchers and now you await the opening of the Shwop Shop so you can get fantastic new threads. But do we leave you to entertain yourself? My goodness me no! Every shwopper has bountiful Interlude options with the Trilogy Cleanser Swap, a glass of MOMO 2010 Sauvignon Blanc to sip at and some super inspiring speakers to behold. The first of our spectacular speakers is Megan Salole. She is a social innovator, a network coordinator, a designer and facilitator, and a business woman. Totally committed to sustainability, Megan has been involved heavily in Intersect, the Sustainability Trust and the Green Party. She is also a passionate Frocks on Bikes advocate and a Wellington International Ukelele Orchestra player. 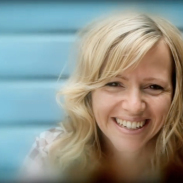 Basically, all-round awesome – and you will love hearing her speak at The Big Shwop. So yay for Megan. And we have some other speakers that I will introduce you to in due course too. But it seems only fitting in Megan’s intro, to also share two other wheely stylish nuggets with you. 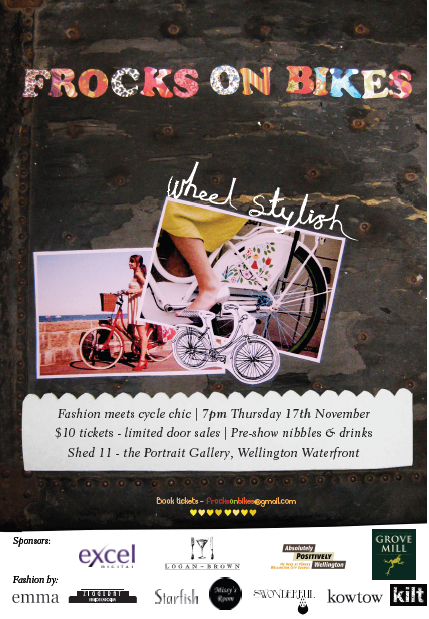 Firstly,of course, is the Wheel Stylish fashion show at Shed 11, 7pm Thursday 17 November. Fantastic local fashion so you can cycle past your myriad of admirers in style. And second, is this super lovely video. Set to cyclists about New York, is this manifesto for life. And I don’t know if its the music or the wheels but either way it makes me emotional. I am such a softie.